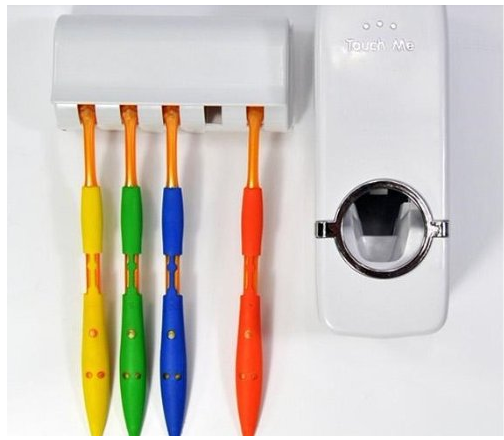 Automatic Toothpaste Dispenser and Tooth Brush Holder Set Only $7.89 + FREE Shipping (Reg. $49)! You are here: Home / Great Deals / Amazon Deals / Automatic Toothpaste Dispenser and Tooth Brush Holder Set Only $7.89 + FREE Shipping (Reg. $49)! This Automatic Toothpaste Dispenser and Tooth Brush Holder Set is SO neat, and right now, you can get it for just $5.66 + FREE shipping! This retails for $49, so this is a HOT price!